A beautiful Australian narrative full of larger than life characters, wild and glorious countryside, horses, romance, secrets, love, connections , family and a fantastic message about acceptance – there is a little something in this book for all to enjoy. Local police drama at its best. When wealthy property developer Francis Tan and his family are found slain in their mansion, Cato Kwong is forced to recall a personal history that makes his investigation doubly painful. 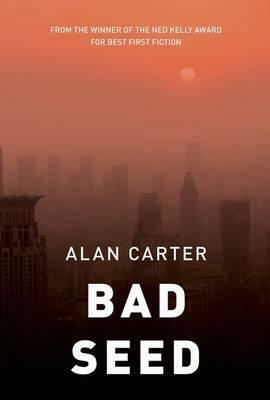 The killer is elusive and brutal, and the investigation takes Cato to Shanghai. In a world of spoiled rich kids and cyber dragons, Cato is about to discover a whole lot more about the Chinese acquisition of Australian land—about those who play the game and those who die trying. A complex plot sited both in Perth Western Australia and Shanghai that is choc- o- block full of mystery, intrigue, politics and dark humour. Sins of the past play softly in the background, slowly gathering momentum and reaching a crescendo colliding with events of today. There are a few bloody deaths to investigate whilst light is shed on policing habits and idiosyncrasies that come under investigation in their own right (eg crime and corruption hearings) and plenty of local social commentary (eg Abuse in Government care) that will be very familiar to the local reader. 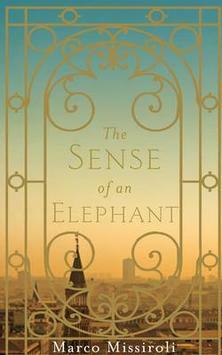 This is the third book in the Cato Kwong series but can easily be read as a stand a lone. This Movie Trailer Is Chilling. I am a big Johnny Depp fan – are you? I have seen most of his films and loved the series that started his career – 21 Jump Street. Up until today my favourite film that he has starred in was Donnie Brasco but that favourite has just been usurped by The movie “Black Mass” – and that is based only on viewing the trailer – it is superb – spine chilling. What do you think? Oscar contender here I think. Brilliant. Amazing. Incredible. Delightful. Haunting. Evocative. Engaging. Surprising. Have you got the hint? I loved this book! 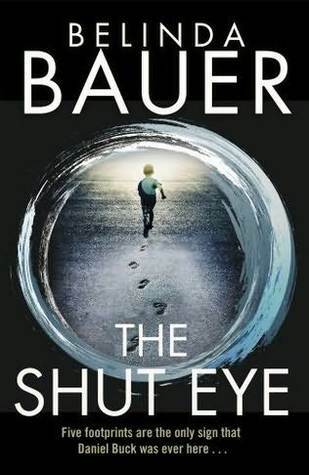 Superb writing, wonderful complex narrative, a hint of dark humour, exceptionally moving characters… psychics, love, death and a mania of blue and circles I could feel and see myself!! This must be one of the most outstanding reads I have come across. The last thing I will say about this read is don’t just take my word for it – read this yourself – YOU MUST READ IT. 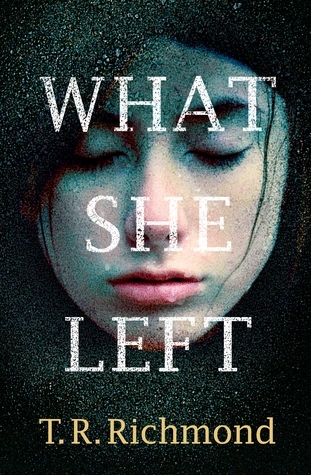 What She Left is a touching and exciting novel that surprises at every turn. Recommended for fans of Gillian Flynn’s Gone Girl or Jane Shemilt’s Daughter. An interesting premise, that, ironically I thought was not best delivered in electronic format (ironic as the novel relies of the footprints of social media to share this story); for me this is largely about formatting – I always enlarge the font on my ereader and consequently this disrupts the original pagination which confused me as to whose voice I was hearing and in what time frame (I am assuming that if I had read this in paperback I would have noticed the page breaks/new entries/voices and followed the story easier). Unfortunately I found the constant skipping back and forth in time a little confusing and hard work to read and not compelling. But that is just me. Update – the physical book arrived in the mail this week – just flicking though it I can see it will be much easier to read and keep up with events than in the ebook. 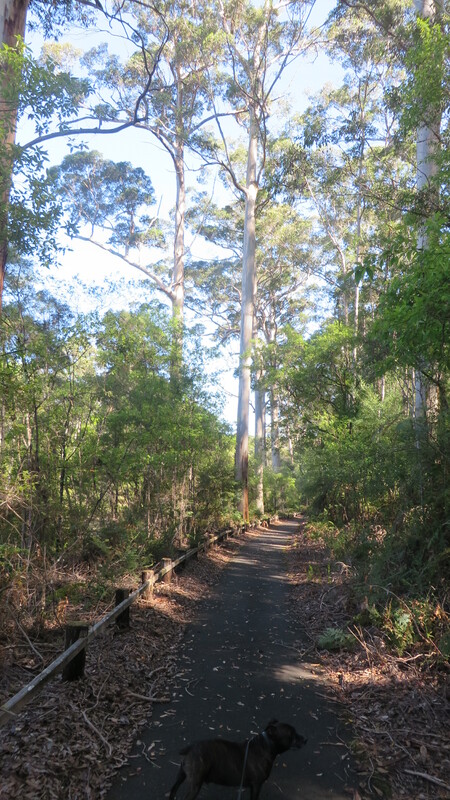 What a perfect day for a walk in the bush! 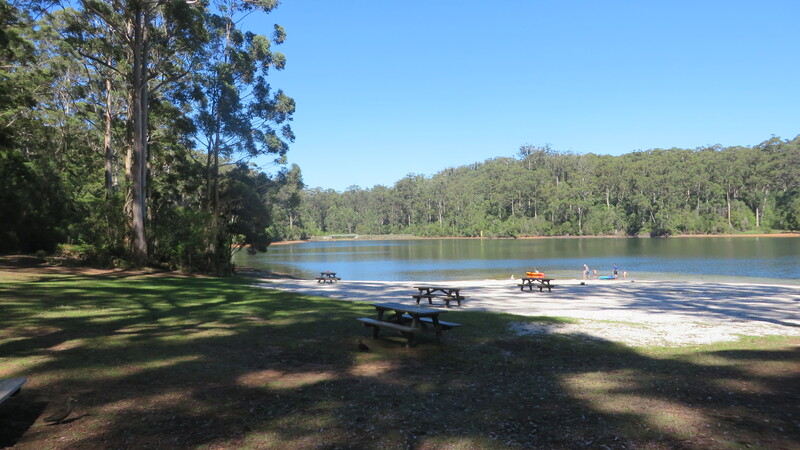 Big Brook Dam which is located close to Pemberton, provides a perfect space for walks or bike rides, with or without your four legged friend (on a leash of course), an opportunity for a swim- weather permitting, a BBQ or picnic, a chance to canoe or just simply be. We decided to enjoy the sunny conditions and take Bob the Dog for a stroll around the lake – the paths make it so easy! And plenty of great photo opportunities. (And close by there are bush camping grounds that allow dogs- we checked this out for the next trip to Majimup/Pemberton).